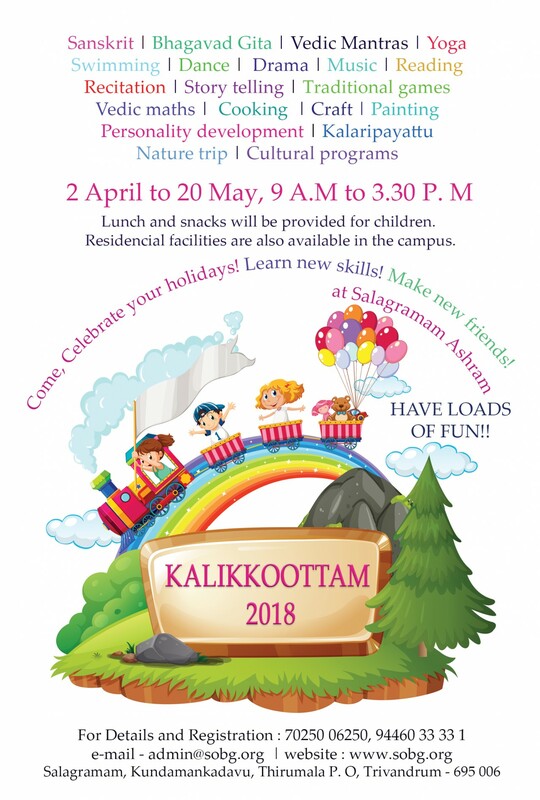 Salagramam Ashram presents KALIKKOOTTAM 2018 - a special summer treat for children. *Personality development * Nature trip *Cultural programs. Certificates will be awarded at the valedictory function. Lunch and snacks will be provided for children. Residential facilities are also available in the campus. Welcoming children to have a fun time at Kalikkoottam!